Up to8 fiber faults can be detected in each measurement. Built-in visual fault locator (VFL), conveniently to find the faults in dead zone. Inspection of fiber repair and maintenance. 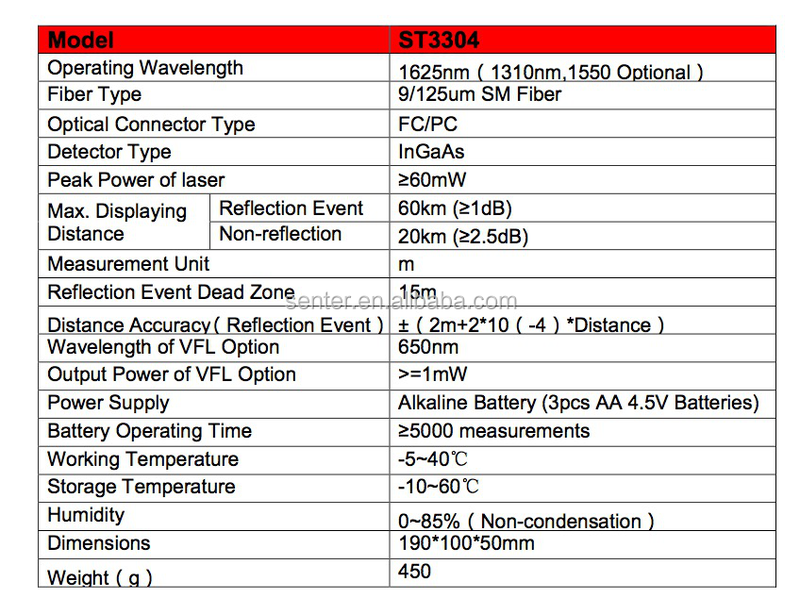 If you're in need of st3304 1310nm/1550nm/1625mm wavelength optical fiber ranger with fc connector to help with your business, please be free to buy with our factory. As one of the leading such manufacturers in China, we will offer you low price and unmatched services.